Game winning hit = custom card of game winning hit. 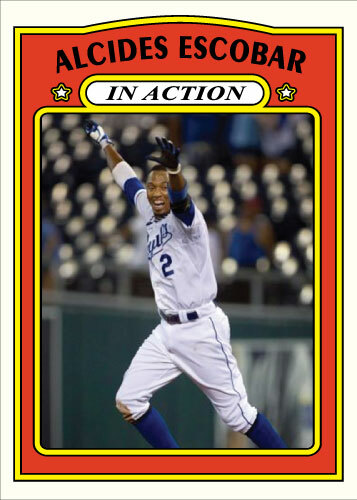 Alright, this is my favorite card from my 1983 Topps tribute Royals set. I think it is a great shot of the hot young rookie for the Royals. 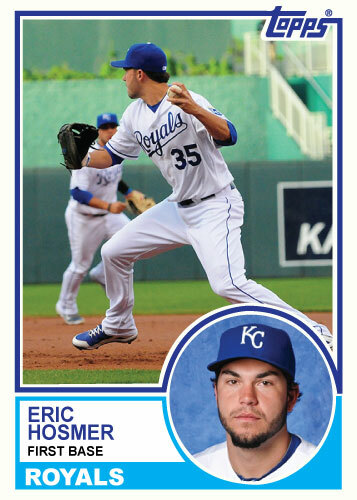 Hosmer had his first career walk-off hit today so I figured it was only fitting to post this card. Hopefully this win will slingshot the Royals back into playing decent baseball again. Oh yeah, don’t look now but this was a 3rd consecutive really good outing for Joakim Soria. Please don’t rush to get him back to the closers role though, make sure he is comfortable before that happens.